Essentially unchanged from 2010 to 2011, this generation of the VW Golf GTi model actually debuted in the fall of 2006, and power was ably provided by a turbocharged 2.0 litre four cylinder that developed 200 horsepower and 207 foot-pounds of torque. Transmission choices were either a six-speed manual or a six-speed automatic with a DSG/Tiptronic manual shift mode that had steering wheel-mounted paddles. You could also choose from a two or four-door version by this stage of the game. Premium gas was required here. One thing that remained intact was the GTi’s exceptional handling and braking, thanks in large measure to a stiffened and upgraded suspension set-up and oversized disc brake front and back. Among other things, it featured anti-roll bars on both ends, which really added to its tossability factor, plus a traction control system, anti-locking brakes, and a stability control system. Few of its competitors could keep up when things get interesting and the GTi was more than enough for most drivers. It also had a priceless exhaust note: with every shift of the transmission, the turbocharger wastegate closes briefly and it sounded like a muffled Formula One racer…..music to the ears of any self-respecting gearhead. Both configurations of the GTi came with a full roster of modcons and standard equipment, including heated front seats, one-touch up and down front windows, cruise control, Bluetooth connectivity, Sirius satellite radio, fog lights, and dual-zone climate control. Standard equipment also included very cool Jackie Stewart-inspired “Jacky” cloth insert bucket seats. The four-door GTi accommodated five adults, but those in the back were up close and personal, with little in the way of elbow room. For what it was worth, a 60/40 folding back seat revealed some 413 litres of cargo space, which was enough to handle modest amounts of cargo. Most GTi buyers weren’t particularly concerned about its carrying capacity, anyway. 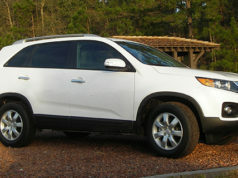 Available extras included leather upholstery, Navi system, and power sunroof. A personal note here. During the launch of the 2010 GTi at the Mont Tremblant racetrack, in Quebec, halfway through my first lap, the engine blew up in spectacular fashion. VW officials later described it as a “catastrophic” engine failure and the blown engine was sent back to Germany for analysis…..I never did find out what really happened to it. Having an engine let go during a track session of a new model launch is hardly a ringing endorsement. 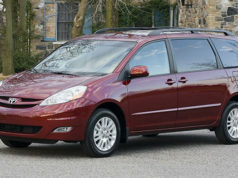 One safety recall is on file with Transport Canada, and it concerns the DSG automatic transmission for the 2010 model. Apparently, it could transmit a faulty high temperature reading and cause the transmission to shift abruptly into neutral. A possibly incorrectly crimped wire is the culprit. The US National Highway and Traffic Safety Administration, meanwhile, has 15 technical service bulletins out there. These include possible issues with the steering rack, rough-running engines, the airbag warning light coming on at random, and a possibly slipping timing chain. Some complaints from owners: “false neutral with the DSG transmission”, “condensation covered all of the windows, preventing (him) from seeing the roadway”, and “from second day of ownership, car has had DSG transmission problems”. This last complaint is by far the most common malfunction registered with NHTSA. Consumer Reports is a fan, but has reservations. Noting that the GTi “excels at combining everyday practicality with being fun-to-drive”, it nonetheless gives it a “worse than average” used car prediction. Areas of concern include the fuel system, squeaks and rattles, and the audio system. The ’11 edition seems to fare better than the ’10 despite being virtually the same car. Some comments from owners: “the sport seats are VERY comfortable”, “a few more storage spaces would be nice”, “a marvel of engineering”. Marketing researcher, J.D. Power, has mixed feelings about this one. They love the GTi’s performance, giving the 2011 edition top marks for overall performance and design, but are less than enthusiastic about its overall quality and predicted reliability. It gets a fail in this last category. What owners say: “the engine is an absolute gem”, “touch-screen audio system is fantastic”, and “just doesn’t look sporty”. From a base price of just under $29,000 in 2011, the GTi has held up remarkably well. You’ll be lucky to find one for less than $20,000. Depending upon the trim level, the four-door model is valued at about $500 – $1000 more than the two-door. Horsepower/Torque: 200 hp / 207 ft. lb. Fuel Economy (litres/100 km): 8.7 city/6.3 (manual trans). Premium gas. 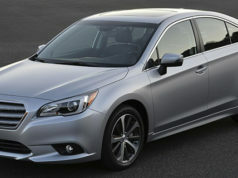 Alternatives: Acura RSX, Audi A3, Mini John Cooper Special, Mitsubishi Eclipse, Scion xD, Mazda MX5.